There is plenty to do on Curacao! 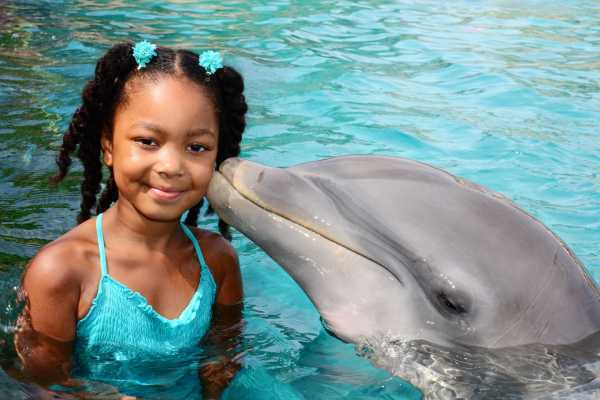 The Dolphin Encounter is an intimate and interactive experience, which lasts for approximately 15-20 minutes. You will be able to pet the dolphin gently and you will receive a kiss! 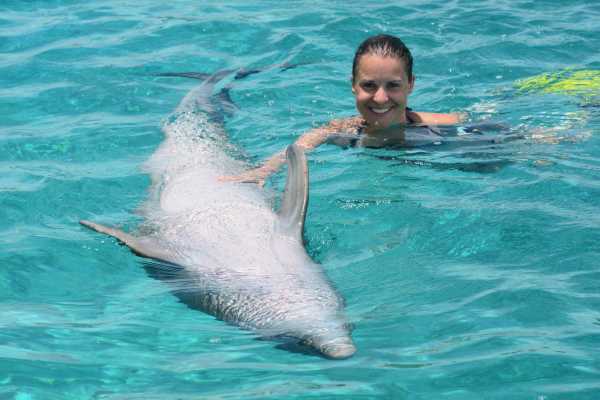 Moreover, the trainer will teach you all about the dolphin and his behaviors. Take your memories at home! 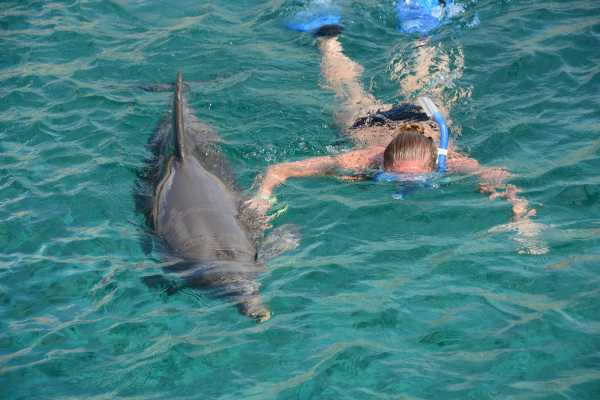 The professional photographers and videographers of Dolphin Academy will record the memories of your dolphin experience. Moreover, this activity includes free admission to the Curacao Sea Aquarium where you can see and learn about the underwater world and creatures. Ready for an ultimate adventure to the borders of the reef? During this dive you will be going for an amazing dive into the abyss on the sea aquarium reef, reaching almost 1,000ft! 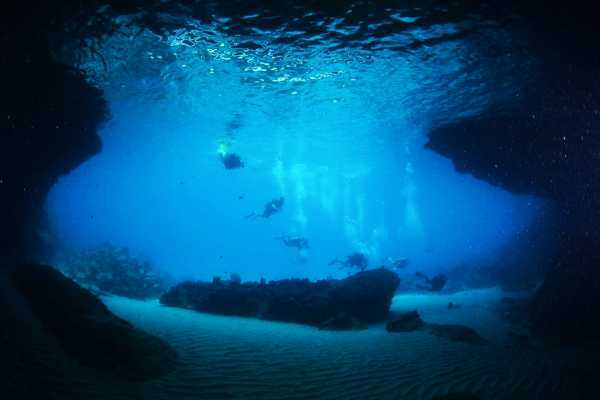 Not forgetting the stunning wreck which we’ll be passing by as well. This dive is perfect for those wanting to experience the depths beyond where sunlight can reach. This is a 1.5 hour experience and includes also all pictures (from topside, inside the sub and by a diver). For all dives: you're allowed to take your own pictures. Please wear comfortable clothes and no shoes needed. Temperatures will vary but will not be too cold. Our main and recommended tour is the Eastern Island Tour. 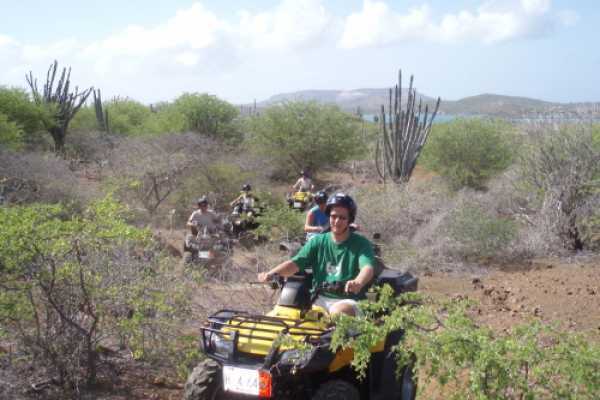 The fun of this tour is that we take you to an off road adventure, where you can see some of the beautiful neighborhoods of the east side, and the aloe vera plantation, where we make a rest stop. We will take you to the top of the hills where you can see the eastern side and some of the coasts from above. Also will we visit caves and take you to the northern side of the island, where you can have an amazing sight off waves crashing into rocks. The west tour is the longest tour that we offer. It takes you to the west side of our island, where you can see the most beautiful beaches of Curacao. We also take you to the San Pedro Plateau's where we will be running along the north coast. 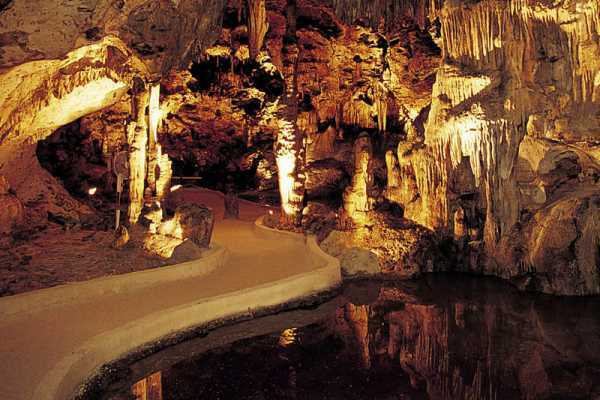 You will find here also the witch cave, which is the main attraction of San Pedro. We also go to Ascension and many more beautiful places. What differs this from our other tours is that in this tour, you have the option to go swimming at one of our beautiful beaches at the west side. Are you ready to go deeper? The Combo dive goes to our maximum depth of 1,000ft and is one of the most exciting dives. Not only do you get to experience the same as on the Explorers dive, but even more! 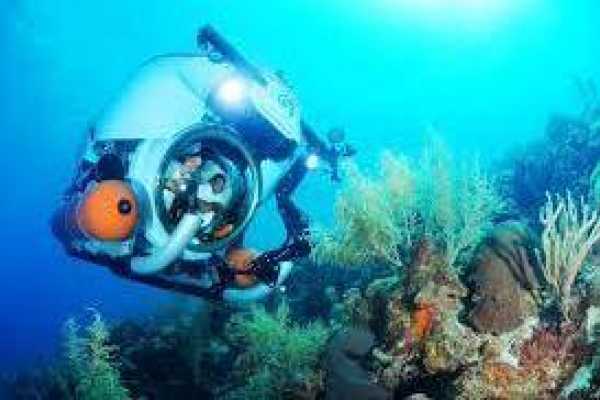 During this dive, you will see creatures that have recently been discovered. The dive time is approx 2 hours and it includes all pictures taken (from topside, inside the sub and by a diver). Our Explorers Dive is the most popular program of them all. Your journey starts with an even descent along the sloping drop-offs down to an approximate a depth of 500ft. On this dive, you can experience first-hand the beautiful colors and variety of life at these depths. 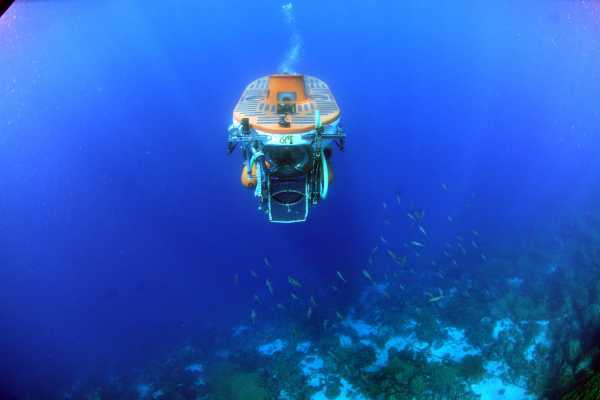 The bottom time is approximate 1.5-hours and all pictures are included (from topside, inside the sub and by a diver). For all dives: you're allowed to take your own pictures. Please wear comfortable clothes and no shoes needed. Temperatures will vary but will not be too cold. 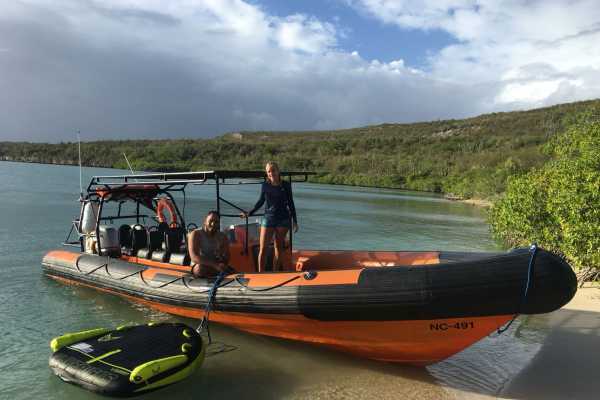 This tour takes you to the rough north shore and within the Christoffel National Park and offers you an awesome way to see the beautiful nature of Curacao. We are the only tour company allowed to visit the famous "Orchid Route" located at some of the highest viewing points on Curacao. 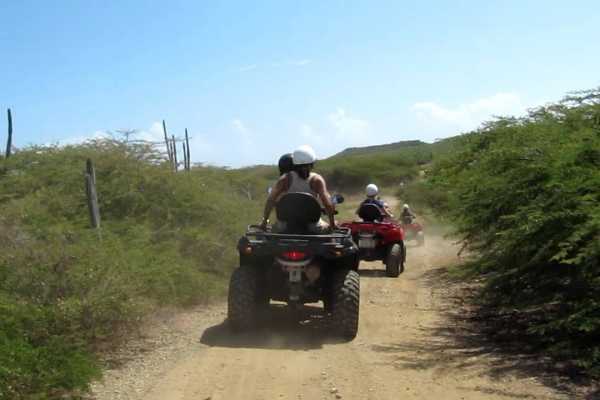 You will be picked up at your hotel and given a briefing and safety instructions by our guide/driver in reference to driving in open vehicles, specifically in the "wild Curacao" terrain. 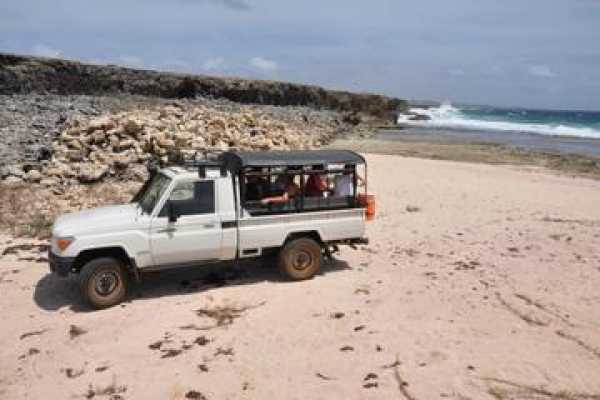 We then start the tour with a sightseeing trip to the San Pedro heights/HATO planes where you will get a lot of information about the island and its nature, the geology and we stop at some amazing spots for some good pictures. After enjoying lunch (lunch is not included, bring some cash), we will continue the sightseeing tour and then enter the main park. The Christoffel National Park is a combination of beautiful nature and amazing historical sites from the time of the slave trade and huge slave plantations. We will also drive through an off-road area filled with orchids, birds of prey and sometimes even deer. Other highlights of the tour are some amazing views some of them more than 1000 feet above sea level. Everybody knows the Blue Curaçao Liqueur! At Landhuis Chobolobo, a 19th-century mansion, you can visit the Curaçao Liqueur Distillery where we produce the exquisite Senior Liqueurs. 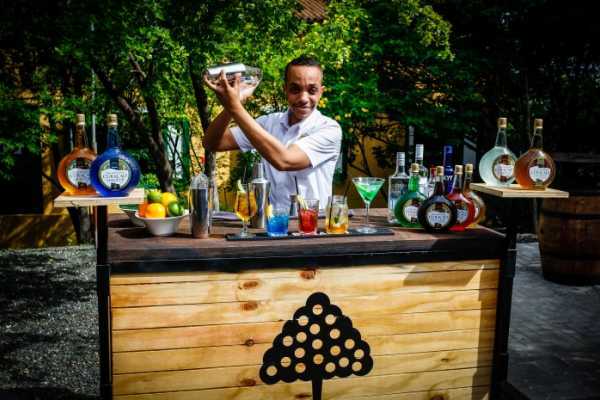 Come and experience the art and craftsmanship of the Senior Genuine Curaçao Liqueurs and learn about the history of Curaçao. 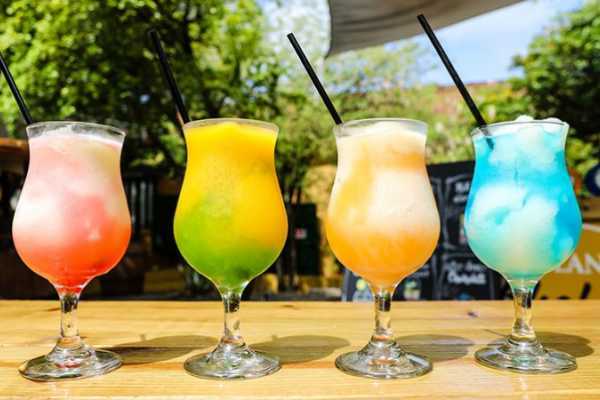 Enjoy signature cocktails, locally-made ice cream, and original souvenirs. 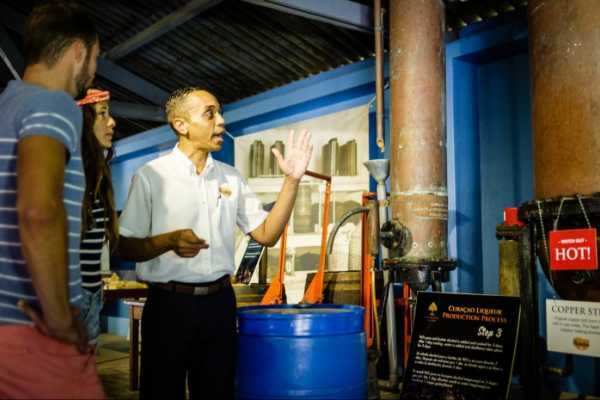 Our distillery is a fun activity for the whole family. The East Coast and West Coast are two totally different places. The East Site of Curacao is well populated. At this side of the island are the most touristic places and hotels. Willemstad is at the East side of the island and is diveded in Punda (point) and Otrobanda (the other side). Highlights from the East Side: Queen Juliana Bridge, Willemstad, Blue Curacao, Liquor Factory, Scharloo, and the Jewish neighborhood. The West side of the island has a lot of hilly landscapes and valleys, a few unique bays, former plantation houses, and little fishing villages. The National Christoffelparc is on the West side of the island with for example the famous Boka Tabla-cave. Highlights from the West Side: West coast, Boca Tabla cave, Knip Bay, Flamingo-area and salt flats of Jan Kok. You can see it all in one day! The Ostrich Safari tour takes you over the farm, which is located in a beautiful area on the road to Groot St. Joris in Santa Catharina. The Ostrich Farm stands for fun for the whole family and makes you experience the feel of South Africa. Get up close and personal with the ostriches and learn all there is to know about them. Our tour takes you across the farm in a safari truck and during the tour you will encounter all stages in the life of ostriches. Our guide will take you through all these stages, from egg, to baby ostrich to adult. Find out all facts and funny details about ostriches. The tour starts every hour. At the farm you will also find a couple of emu (Australian ostriches) and during the tour you will encounter potbellied pigs and Nile crocodiles. If you want to experience something out of the ordinary during your holiday, look no further! 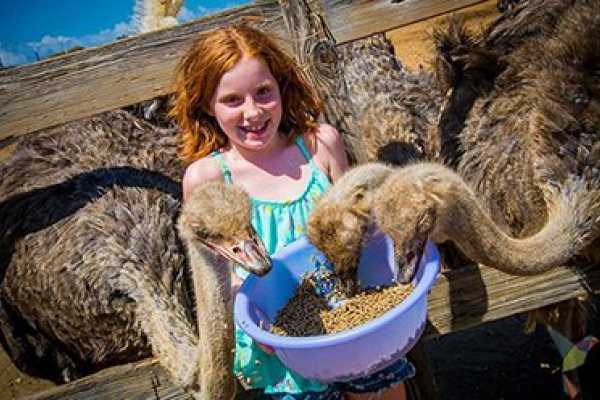 The Curacao Ostrich Farm is great fun for both kids and adults. Always wanted to fly above the water or dive as a dolphin? 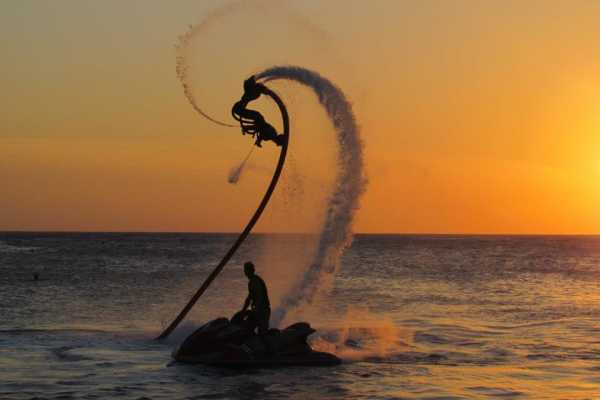 Zapata Flyboard Caribbean offers this unique experience! During the course, that takes a bit longer than one hour, we learn you the basic principles of Flyboarding. First we take you through the basic theory and the safety regulations. After that we will enter the water and you learn to Flyboard during 30 to 40 minutes. Cruising along the coast of Mambo beach and taste the real Caribbean summer feeling. 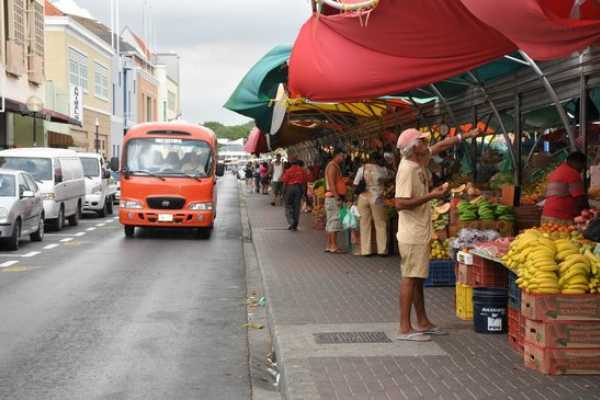 Mambo beach boulevard combines shopping, dining, and entertainment. 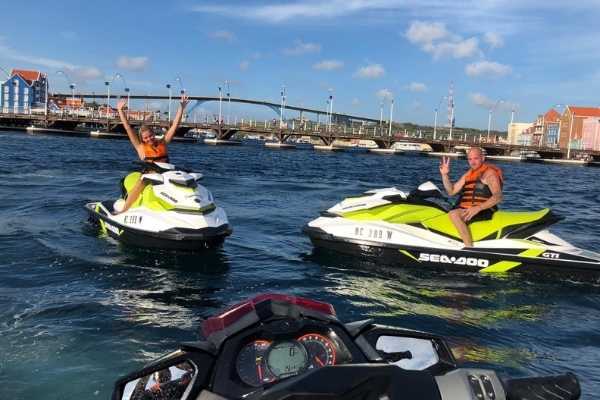 Show-off on the powerful Sea-Doo and experience real fun on the water. Take your family and friends with a maximum of 8 persons and enjoy one hour of watersports! Go wakeboarding, waterskiing or try to stay on the banana or tube. You will also have some time to chill on a beach of your choice. Join us on the 2-tank guided boat dive to Watamula and Mushroom Forest. 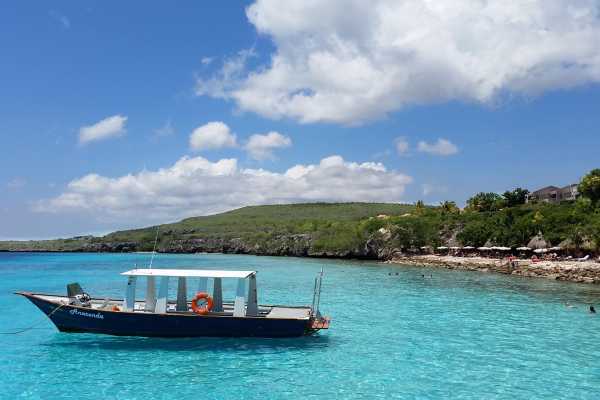 The boat will take you to the first dive spot Watamula, where you will explore ' the breath of Curacao' Watamula during a drift dive. During your surface interval you will get a smal lunch on board of the boat, while the captain drives you to your second dive location Mushroom Forest. It is named Mushroom Forest because of the large number of mountainous star coral growing vertically on a sandy plateau that resemble a “Forest of Mushrooms”. At the same location you will find the 'Blue Room'. 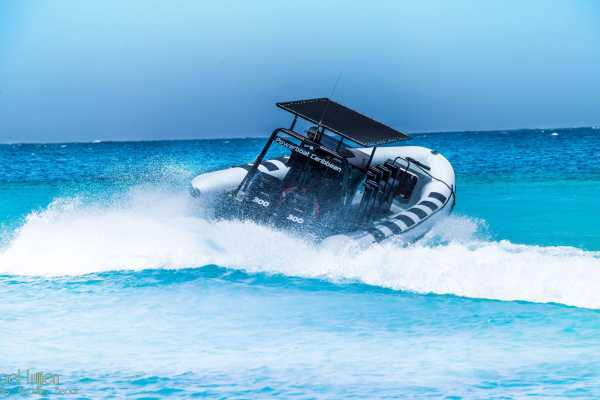 Explore the east coast of Curacao with the Powerboat. This 2.5-hour tour brings you from Blue Bay towards the Spanish Water. The combination of high speed and sightseeing is a thrill for everybody! You will see Willemstad and the pontoon bridge, the Piscadera Bay, Mambo Beach Boulevard and the famous hotels, Jan Thiel Beach, Caracasbaai, the Spanish Water and the famous Fuikbaai where we stop for a refreshing drink on the house. It will be the highlight of your vacation!